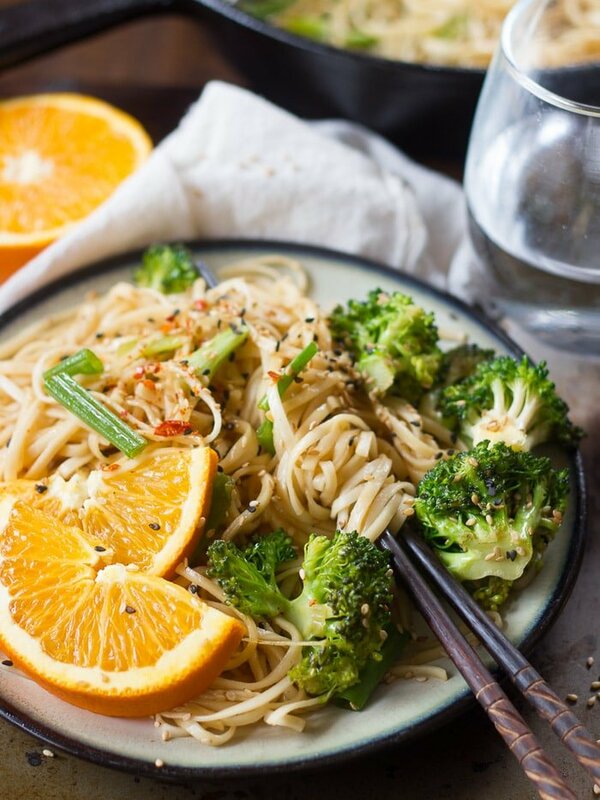 Broccoli florets and noodles are stir-fried and tossed in a sweet and spicy citrus sauce to make these mouthwatering and super easy spicy orange noodles. My four year blog anniversary just passed, and I didn’t even notice. That’s so crazy to me! Back when my blog was about to turn one year old I remember anxiously awaiting. It seemed like such a big deal, like my blog was entering dinosaurhood as it applies to the internet (thereby legitimizing my goofy logo). This year, February 9th came and went. I shared a cassoulet recipe without any comment on it being a big day. In fact, when I first realized I’d missed the date, I couldn’t even remember whether it was the 7th or the 9th. I feel so grown up — like when I was a kid and completely forgot about a half birthday! Things have changed a lot since I started out, on and off this blog. As far as on the blog, well, I deleted my first couple of posts because they were so embarrassing, so I guess that means I’ve improved. Life off the blog has changed too. I don’t get a whole lot into my personal life on this site, but I did have a few people email me recently asking about me and my life and I realized that my about page is way out of date. I’ll get on that soon! I mentioned a few times around the end of last year and early this year that I had a lot going on, and I did! I closed up my law practice and moved on to full time food writing. I get to devote more energy to this site, and I’m doing a bit of freelance writing and editing. This was a big victory for me, because honestly, juggling the legal work and this site was exhausting. I’m still really busy, but it feels less like work, I get to bed at a reasonable hour most nights, and I no longer find myself writing patent claims with kitchen scraps in my hair. Enough about me, let’s talk noodles! 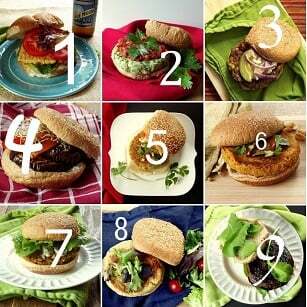 On busy days of juggling law and blog, recipes like this always felt like a life saver. 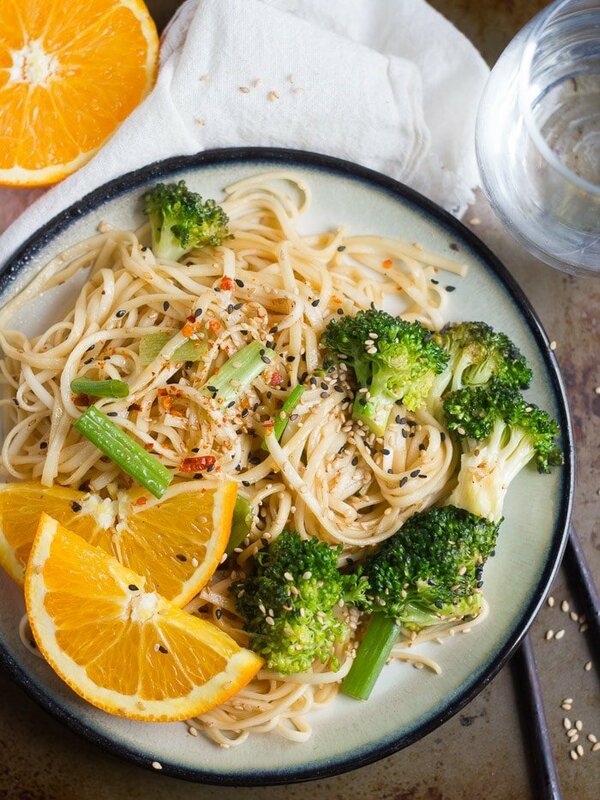 I know you guys aren’t exactly in the same boat, but you’re probably juggling something or other, so easy recipes like this work out nicely for both of us. 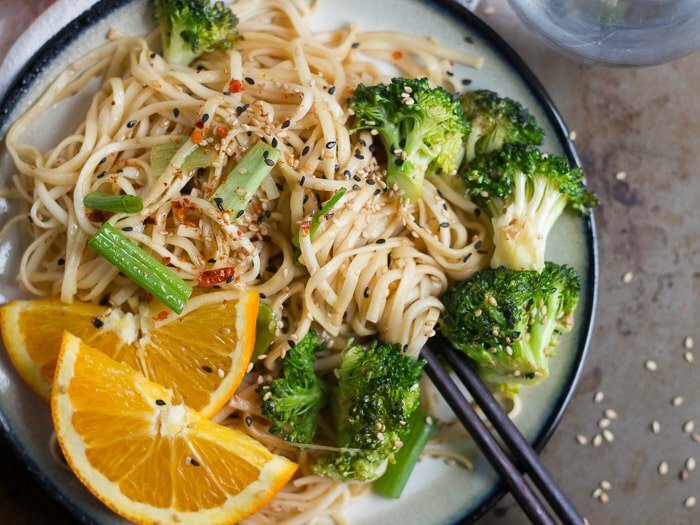 If you’re a fan of lo-mein and/or my orange ginger tofu, I think you’ll dig this one. The sauce is similar to the orange tofu, but the texture of the stir-fried noodles is very lo-mein-esque. This one came together super easy, and it’s totally customizable. I kept the recipe pretty basic, with some stir-fried broccoli, because I always have broccoli around this time of year. Feel free to substitute some other veggies, include some protein, or switch up the noodles. Bring a large pot of water to a boil. Add the noodles and cook according to the package directions, cutting off 1 to 2 minutes from the cook time, so the noodles are al dente. While the noodles cook, stir together the orange juice, soy sauce, maple syrup, sriracha, garlic, and ginger in a small saucepan. Place over medium heat and bring it to a simmer. Allow to simmer for about 10 minutes. Stir the water and cornstarch together in a small bowl or cup, then add it to the sauce and stir a few times. Allow to simmer 1 minute more, then remove from heat. Coat the bottom of a large skillet with oil and place over high heat. When the oil is hot, add the broccoli and white parts of scallions. Stir-fry for about 2 minutes, until the broccoli's color intensifies a bit. Add the noodles and sauce. Continue to stir-fry until the liquid cooks off and the noodles begin to crisp, about 2 to 4 minutes, depending on how crisp you'd like the noodles to be. Remove from heat and add in the sesame seeds and green parts of scallions. Divide onto plates and sprinkle with extra sesame seeds and red pepper flakes, if desired. If you want to add some protein to this meal, pan-fry up some tofu. If you'd like, you can even cook up some extra sauce and pour it over the tofu towards the end of cooking. I used powdered ginger because it was all I had on hand, but feel free to substitute 1/2 tablespoon of fresh ginger. Spicy noodles, yes. Heard before. 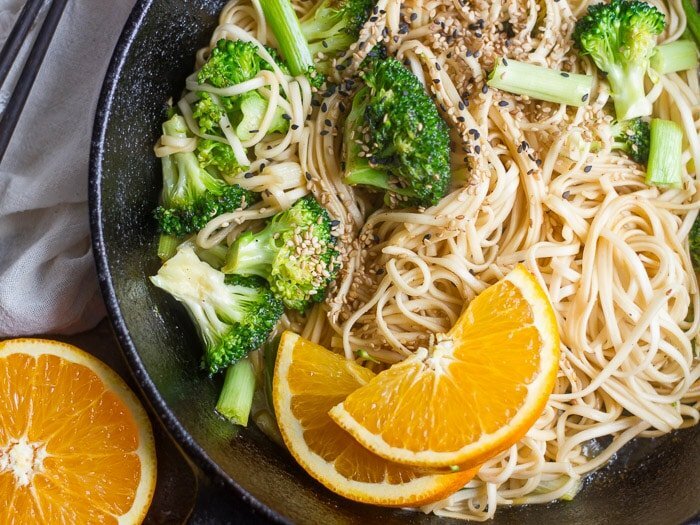 Orange spicy noodles? wow. That’s amazing. How can you even think of this recipe! Really interesting! Made this for dinner the other night. So good! I added more veggies though: onion, carrot, red pepper and some cabbage. Next time I will add some tofu. The sauce was awesome!